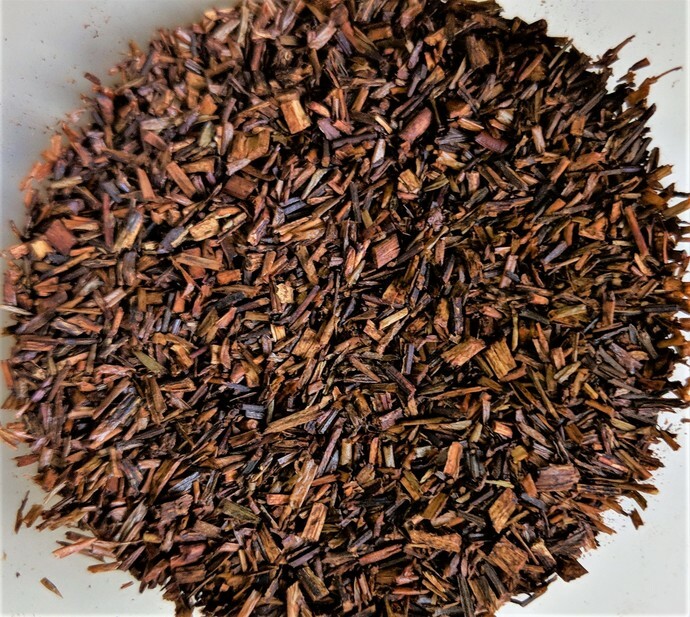 Rooibos will never go bitter, unlike tea, if over steeped. Rooibos is smooth and gentle with a natural sweetness and slightly nutty taste, also very high in antioxidants. Naturally does not have caffeine. It comes from a South African and was drunk by the native people for centuries until the 1700s when the Dutch started drinking it too.